In case you haven't heard about this device, let me fill you in briefly. 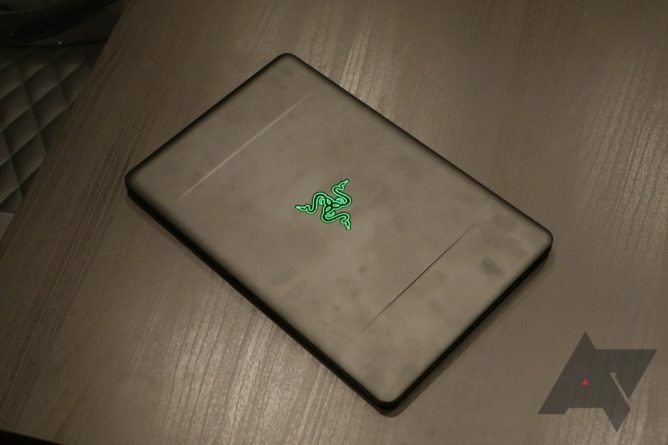 Basically, Razer took the chassis of its Blade Stealth ultrabook, removed most of the internals, and replaced the trackpad with a slot for the company's phone. The laptop locks in the device with a simple, yet effective mechanism and then the phone's screen is mirrored to the 13" display while also acting as the trackpad. 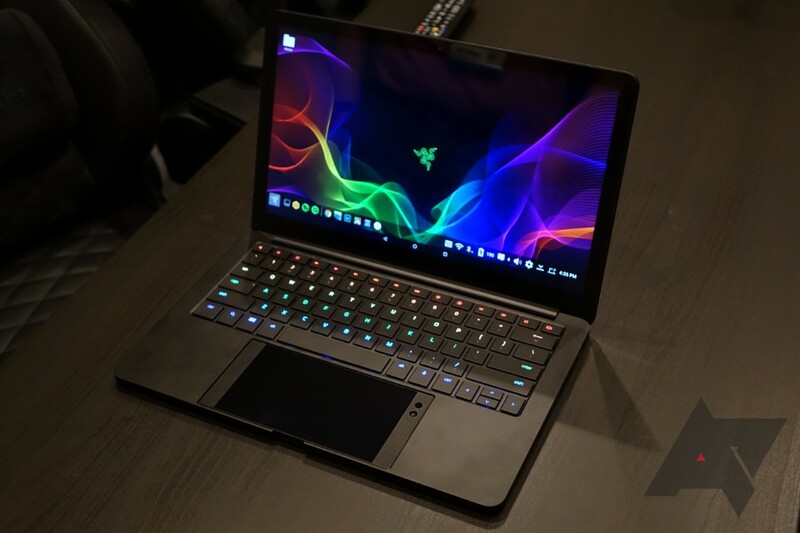 Frankly, I like the idea of Project Linda, but if Razer (for some odd reason) actually brought this to market, there's a very long way to go. The software is especially funky. Android does not do well with multiple displays, so Razer worked with Sentio to create a workaround. Basically what we saw was a heavily-modified custom launcher that hides the status bar and simulates a desktop and taskbar on the screen. Razer actually did a pretty good job of accounting for various circumstances. The top left three keys (i.e. Esc, F1, and F2) were replaced with Back, Home, and Recents, respectively. Near the phone dock, Razer included an antenna booster to address possible cell signal issues. 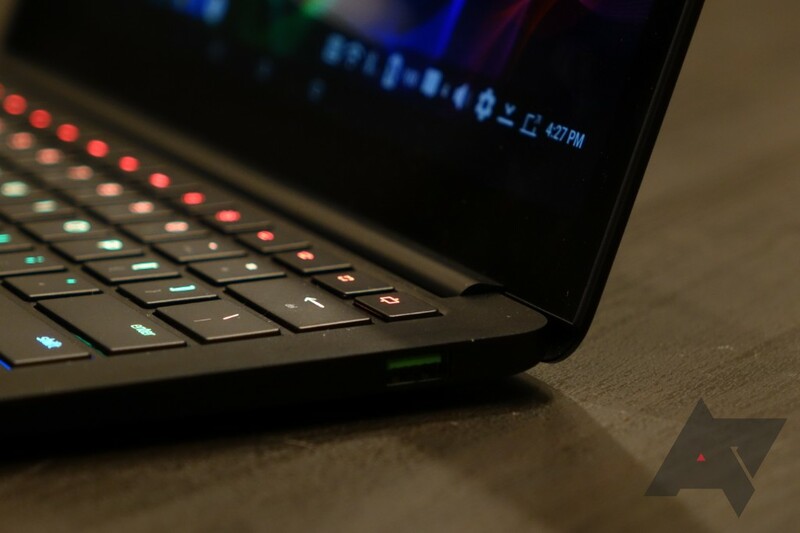 The battery from the Blade Stealth remained, which powers the RGB Chroma keyboard and display — we were told it could charge the Razer Phone three times over, which is neat. The slot for the phone is even lined with a velvety material, just to keep the device safe from scratches. 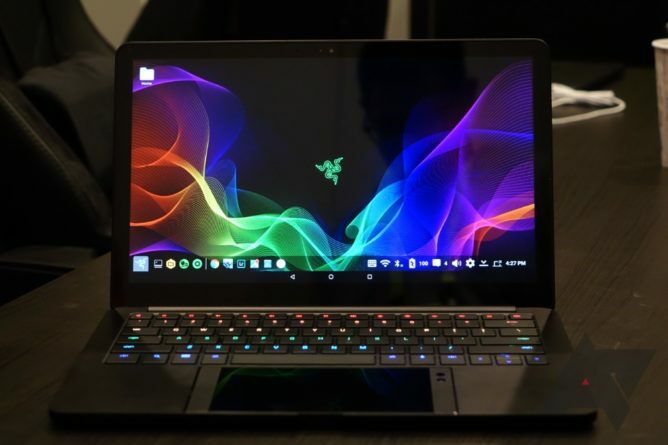 Razer told us that, were this product to come to the market, they would want a 1440p 120Hz touchscreen display (since some Android apps don't like trackpads) instead of the mere 1080p 60Hz one (this is Razer we're talking about, which is known for going all out on things). There are no speakers, either, with Project Linda instead relying on the Razer Phone to produce sound. The shell has a USB-C port for charging, a USB-A 3.0 port, and a headphone jack. Razer also said that you could connect a mouse to Project Linda, which could come in handy especially in MOBAs like Vainglory. In practice, one of our favorite things was the mounting mechanism. 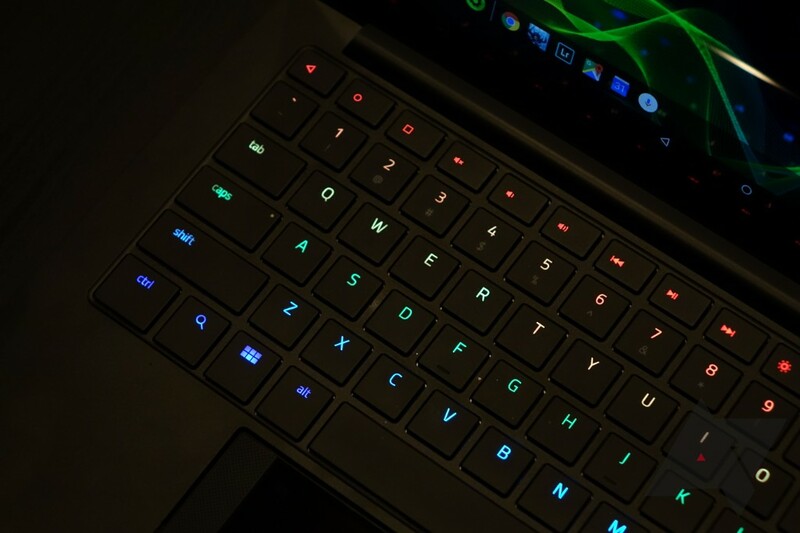 The top, rightmost button on the keyboard controls this system, which extends/retracts the USB-C connector and clamps/releases the Razer phone. This whole process is fairly quick, and makes the most awesome, short whirring noise. It's pretty lame that this is what excited us, but I won't apologize for having fun and enjoying the simple things in life. David can speak for himself. While I liked the idea of Project Linda, I have yet to be convinced on whether it needs to come to the market. We've had many attempts at laptop/phone hybrids before and Razer doesn't seem to be offering anything truly new to the concept except a more polished, fresh coat of RGB paint. Other than that, I think there are two problems with Project Linda: 1. the software experience is buggy and messy, and though somewhat interesting, it failed to impress us, and 2. you need a Razer Phone to use this. Regardless, I applaud Razer for trying something different. This year's idea feels like it could be a good product at some point, versus last year's laptop insanity, but I'm not convinced of either its actual utility or the likelihood that it will ever see the light of day.